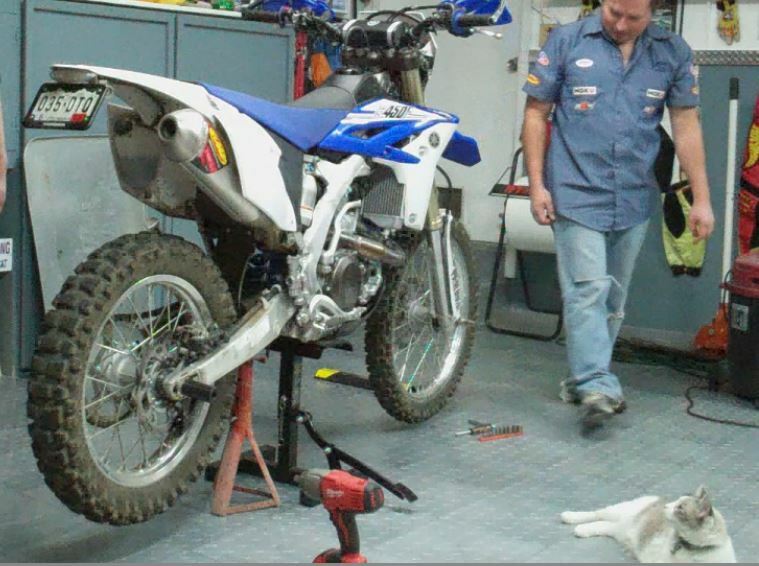 A time lapse video doing a supermoto conversion on a 2014 Yamaha WR450. 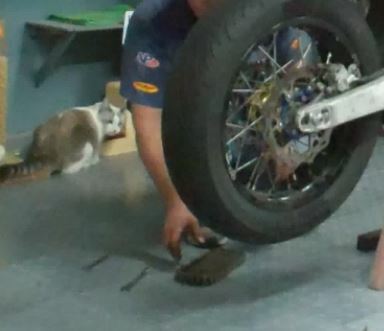 The kitty helped supervise, that might be the most entertaining part of the video. This bike belongs to a fellow Youtuber by the name of SuperWolf, check out his channel for some interesting MotoVlogs.